Need Impound Services in Las Vegas? We specialize in damage free towing with our modern equipement and professional staff and drivers. 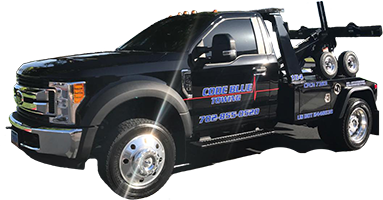 Code Blue Towing primarily focuses on private property impounds which gives us an advantage over the other guys. This allows us to have better response time when receiving calls and also allows us to focus more on our customers. Code Blue Towing offers an array of services to fit the needs of all of our customers, but our primary goal is remove as many abandone vehicles from the streets as we can. By doing this we ensure the over all quality of our roads and your parking lots and properties. We offer many solutions for Abandoned Vehicle Removal, for more information on how to have abandoned vehicles removed from your property please contact us. Illegal Activities on your property being done from a vehicle? We will remove the vehicle from the property helping to eliminate and cease further illegal activities. We will immediately remove vehicles at your request that are illegally parked on your property, Whether they are parked in Fire Lanes, Handicap Parking Spaces, or in Assigned Parking Spaces, we will remove them at no cost to the property owner. All vehicles in violation of your property rules will be digitally photographed and uploaded to our system. These photographs are available 24/7 via our online portal for property managers. If you need any of our services, do not hesitate to contact us at(702) 855-0520 or visit us at 2820 N Ringe Ln, Las Vegas, NV 89156. 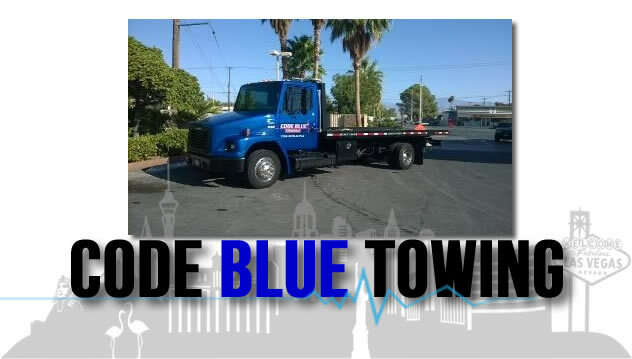 Code Blue Towing is a locally owned and operated impound business in Las Vegas, NV. We specialize in abandoned vehicle removal and illegally parked vehicle removal. Open 24 hours a day, 7 days a week. Copyright © 2019 Code Blue Towing. All Rights Reserved.